Posted by: amrath in Meta-Issues, Real Life, Out of Character, Etc. Join the adventure! Get “The Dead God’s Due” on Amazon now! The adventure continues with “The Mad God’s Muse”, Book 2 of the Eye of the Lion Saga, available now on Amazon! 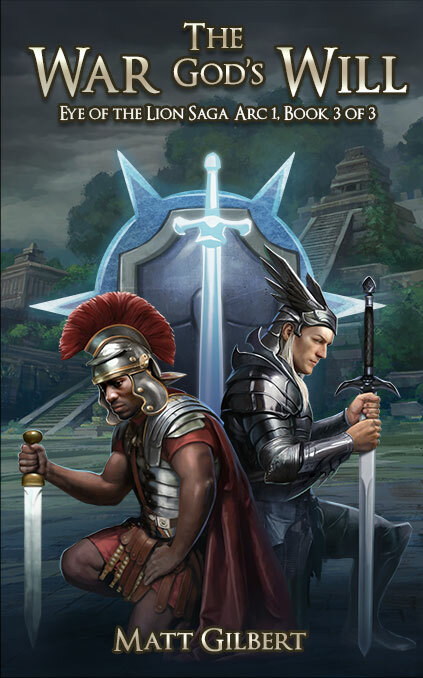 The arc finale “The War God’s Will” will be available Q1 2019! Welcome to Nihlos, home of the Eye of the Lion Saga (#eotlsaga)! If you’re looking for info on this series, head to the Eye of the Lion Saga page. If you’re new here, you might also check out who I am, and what I’m doing.You can check out some of my other work here. Sign up for my newsletter and get updates on new releases and the occasional sneak-peek of work in progress. 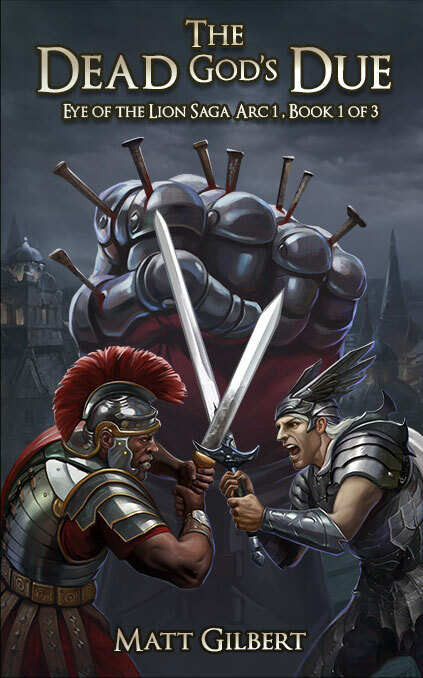 You’ll also get a free digital copy of “Soothsayer”, a novelette set in the Eye of the Lion Saga world. If you like what you see, please follow me on twitter, tweet this page, and like my Facebook page, too. I would really appreciate your help spreading the word about my work! I sent it for a final proofread today. I am not certain when it will be out, as that’s up to Aethon, but I hope within a few months. Here’s a brief description excerpt for your perusal. Give Richard some business, and don’t forget to give him a review! An intelligent little girl encounters a talented witch at the local fair and finds out that it’s all in the family. She was waiting for someone, her eyes scanning to and fro, up and down the street. She had been corresponding through the mail with a baron of great nobility; her voyage across the sea had been planned for many months. She had come almost due northward from her home city of Bethel in Caledavor, Mestes, and was headed for the estate of Westmere. It was located in the borough of Wallins, in southern Malentan, on Watley Peninsula. She had come all this way to be the baron’s blushing bride. The marriage that had been completely arranged for her by her mother, as her father had passed away when Marissa was still a teenager. She had been informed in the baron’s final letter that he and his men would be waiting to pick her up, at around the time of her arrival on the peninsula. The rest of the journey to the barony of Wallins would be undertaken by coach. Well, I am announcing yet another delay, but this time for the best of reasons. I have signed with Aethon books to publish the whole series. 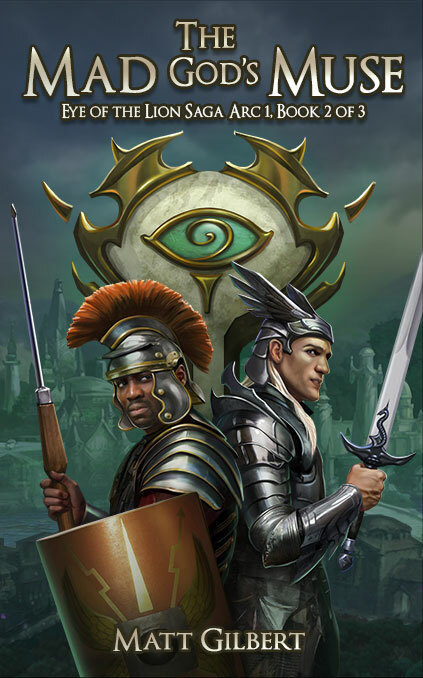 As part of that deal, I have removed the books from amazon and will be going through them with Aethon’s editor to get them ready for re-launching under their imprint. I hope, by this summer, to see them all available under the new banner! I need you to quit the day job! Been dying waiting on this book. Thanks for the heads brotha! Would that I could, but I would starve (and so would my kids) and I would never finish editing the last book edited! 😀 Seriously, though, thanks for the kind words and for bearing with me. I’m not sure of the publishing schedule, but I hope you’ll have it in hand soon. Posted by: amrath in Current Projects, Eye of the Lion, Meta-Issues, Real Life, Out of Character, Etc. Still working on it. I know I keep pushing it out, but it’s just life and not having enough time. The book was ‘finished’ months ago, but the editing wasn’t done until late December, and my day job has kept me busy enough that I haven’t had much time to actually apply the results of the editing pass. It’s in progress, and I expect to finish sometime this month or next, assuming I don’t get another crunch with my day job. It’s just a fact right now that the day job pays the bills, so it has priority. Esme gave Mad God’s Muse 4 stars! 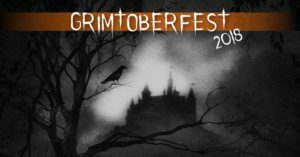 If you don’t know who Esme is, she’s the blogger who set herself the epic task last year of reading 100 of SPFBO3’s entries, and subsequently landed a spot as a judge this year. She’s also contributed greatly to the indie community in terms of setting up TBRindr, a service for matching indie authors and reviewers. So support her. She’s awesome. MGM made her ‘recommended’ numbers and squeaked out a 4 or 5 stars (3.9 rounded up). I really love how much Esme hates Kariana. I always knew she would be a polarizing character, so it’s great to see different reactions to her. 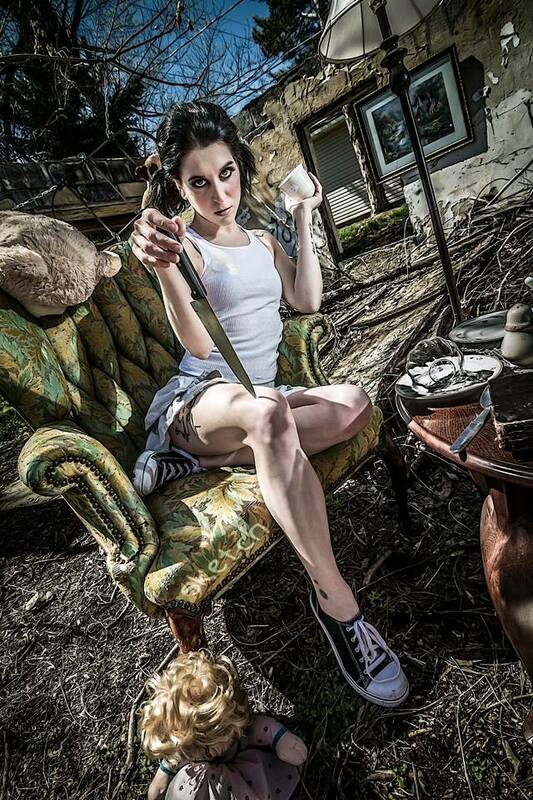 This pic is from a photographer friend of mine, Sketch Ditty. It wasn’t intended to be Kariana, but I was so struck by it when I saw it that I often show it to people as my visual for the character. Sadly, I am looking at not being able to deliver the finale book until the end of the year. My previous editor was unable to complete the project due to a family tragedy, so I had to find another editor to work with, and I am not his only client. We will be going through all three books over the next month or so, and hopefully I can get everything integrated in time for Christmas. I want to emphasize here: the book is done, at least as far as the story goes. It’s just a matter of polishing it for release, now. Well, it’s September, so I have obviously missed the deadline. The book is done, but it is still in editing. I had expected it back sooner, but the editor is running a little behind, so I am just waiting on that. Hopefully this month! Okay, so I watched “The Beyond”, and it kind of sucked. For a while it was tolerable, but the end was just so bad that it ruined the whole experience. It’s told in a documentary format, so it’s slow paced, but that’s fine. I am not one of those who needs high action, and this movie has basically none. But I AM one who needs his science in science fiction movies to make some sort of sense, and the science in the end is absolutely dreadful. So is the storytelling. It seems like about ten minutes of footage is simply missing, leading to the climactic moment of the movie not only not making any sense (a threat appears from nowhere, is not explained, and without any leadup whatsoever, though the characters behave as if they have known about it for some time) but never being explained at all, even in retrospect. And seriously, what is up with the grammar? “Complexing” instead of “perplexing”? (Several times, this word was used, and it caused me pain each instance.) Is that a euro thing, or did they just utterly fail? “Rised” instead of “rose”? Could that have been a character affectation? Living forever is “IMmortal”, not “mortal”, and no way can that one be explained. Kind of 1st year film student, without the obligatory overdone trope inversions and inappropriate background music, so there were a few positives. I am going to admit something very geeky about myself. I often have these little scenarios play through my head where I wonder what would happen if you pitted one mythical or fictional creature against another. How does a pack of werewolves fare in the zombie apocalypse? Could Conan beat Darth Vader in a sword fight? How would Roland fare against either of them? Yeah, I have precious little free time, and this is what I do with it, folks. 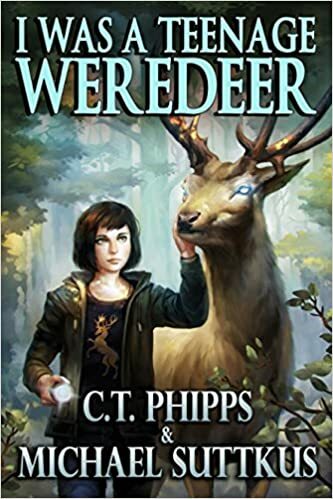 So while it’s not my normal thing by a long shot, “I Was a Teenage Weredeer” by Charles Phipps and Michael Suttkus is a mythical and pop-culture mashup that hit my sense of the strange and humorous right where I needed it. After grueling days of code-slinging and bug fixing, I was really ready for something lighter for a change, and this one fit the bill. Jane Doe (Yes, it starts right in on the puns) has just turned 18. Also, she is a weredeer, but that’s not what’s important. What’s important is that she identifies as a Baratheon, and her werewolf best friend Emma is team Stark. Oh, and her brother, who is not a weredeer or were-anything-else, has just been collared for the murder of Emma’s sister. Thus begins a pun and popculture filled trip into a world where disliking vampires and werewolves is “kinda racist”, and solving mysteries might require a literal trip to Hell and back. Armed with a big mouth and little control over what comes out of it, and the ability to read impressions from objects, Jane is ready for action to prove her brother innocent. He is innocent, right? As she uncovers the seamy side of what she assumed to be an idyllic refuge for werefolk, she begins to have her doubts, and not just about her brother. A lot of what makes “Weredeer” really cute are the cameos and tips of the hat to other media, so I’ll not go into that deeply, but lets just say you could make an unwinnable drinking game out of this book. 5 of 5. I’ll have the cherry pie, please.